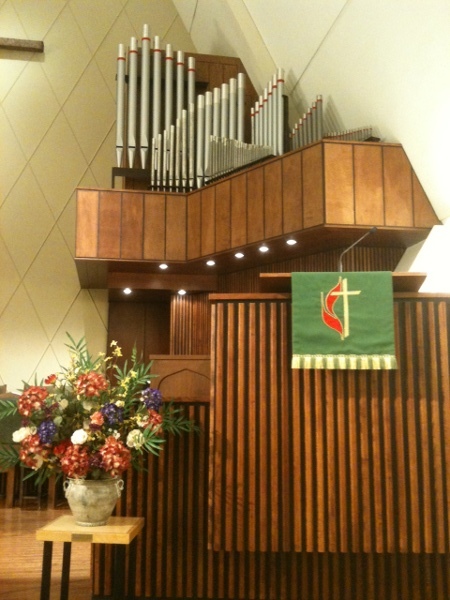 We offer two traditional and two contemporary worship services each Sunday morning here in North Little Rock. Come as you are to any of them. Our pastors are illuminating speakers whose sermons will engage and challenge you. Our music is diverse, uplifting, and performed by talented musicians. And our congregation is friendly, welcoming, and open. We welcome all ages in worship and families worshiping together. Worship at Lakewood is full of joy, fellowship, and God. One of the first contemporary services in Central Arkansas, over twenty years later families are still coming to worship in this relaxed, casual atmosphere with classic rock-style music by the LEVItes praise band. Our largest service. Our newest worship service features fresh, acoustic singer-songwriter music by worship leader Cara Chapman and uplifting preaching from Rev. Cindy Henry in an intimate, informal atmosphere. We host many special worship services throughout the year, including the North Little Rock Community Easter Sunrise Service (above), Worship in the Park at the Lakewood POA pavilion, Candlelight Christmas Eve services, and our annual Blessing of the Backpacks and Lakewood Elementary as the children of our community's children return to school each year.